Traveling to Barcelona is such a treat. The city bustles with excitement and there’s history around every corner. 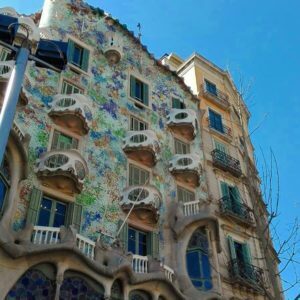 Barcelona is a sea-side city, the second largest in Spain, and everywhere you look, there’s art, architecture, quaint streets, and some of the best food in the world. When you take a tour of Barcelona, one particular name pops up again and again. Antoni Gaudi was a Spanish Catalan architect best known for his works in Catalan Modernism. Most of his designs are located in Barcelona and are easily reached during your stay. His most famous work, the Sagrada Familia, is a monument to creativity and persistence. The basilica was commissioned in 1882 under the direction of a different architect who later resigned. Gaudi became involved in 1883 and oversaw the intermittent construction, including an extended interruption during the Spanish Civil War, until his death in 1926. The building itself is anticipated to be finished in 2026. This unusual construction features detailed stonework and curved lines. It is an astonishing work of creativity interpreting traditional gothic architecture into something unlike anything else in the world. A related work of architecture is the Sagrada Familia schools, a building done in the same curvy style as the basilica. It was built to ensure the continuing education of the cathedral workers’ children and was finished in 1909. Gaudi also designed a work similar to the Sagrada Familia known as the Franciscan Mission of Tangiers. Because of civil unrest, the plans were never carried out, and only his design notes remain. He applied quite a few solutions and ideas found in these plans to the execution of the Sagrada Familia. This is one of the few Gaudi works outside of Barcelona. It’s a lovely house with sunflower tile facade. Gaudi designed the house to move along with the light of the rising and setting sun. Although the house is small, fans of Gaudi’s work will recognize the house the moment they see it. This was the first house that Gaudi designed and it’s considered to be a work of Art Nouveau. It was his first majorly recognized work, and he designed it with a mixture of styles and materials. Although we can see Gaudi’s personal style now, at the time, it completely broke with the prevailing styles of architecture, mixing Hispanic and Arabic inspirations. Another early work is the Casa Calvet, a conservative building for Gaudi, but still displaying his affinity for curved and modern design. It’s another house, designed to look somewhat like a fairy tale with typical Catalan ceilings and details meant to celebrate the life of the patron, Pere Martire Calvet. An extremely modernist building and one of Gaudi’s crowning achievements is the Casa Batllo, located in the middle of Barcelona. 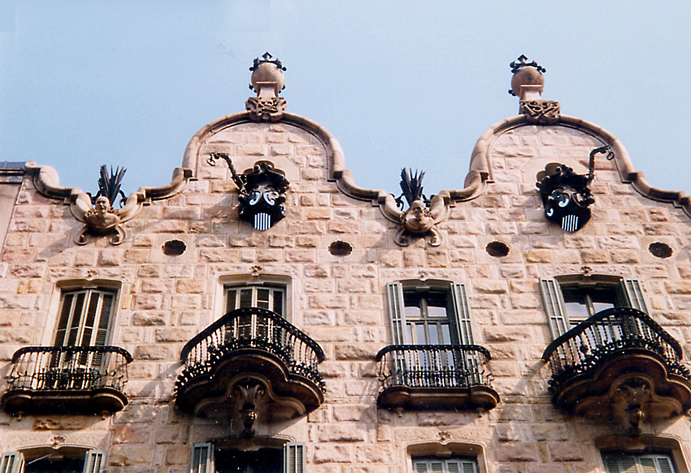 The top feature of the facade has been likened to a dragon’s back, continuing on with Gaudi’s mythological influences. It features rolling facades, curved windows, sculpture, and designs on every wall and ceiling. Casa Batllo was originally a complete teardown, but Gaudi convinced the owner of the original house that renovation would produce the radical vision both the patron and architect sought. It is easily identified as Gaudi’s distinct, creative style. The castle of Bellesguard was a design heavily influenced by medieval architecture. Gaudi took his inspiration from King Aragon, a royal who died in the 15th century without an air. The original castle fell into disrepair and was handed down through a series of families until Jaume Figueres purchased the estate. The family intended it as a second home, but Gaudi’s obsessive detailing prevented them from ever enjoying the final product. The elaborate mosaic work is one of the most attractive features of the house now, but construction was delayed and took so long to complete that Figueres died before seeing the final product. The last private residence designed by Gaudi was a controversial building in the middle of Barcelona. The building’s undulating facade and unusual windows made waves in Barcelona high society. Gaudi produced quite a few structural innovations including an underground garage, and a self-supporting structure free of load-bearing walls. 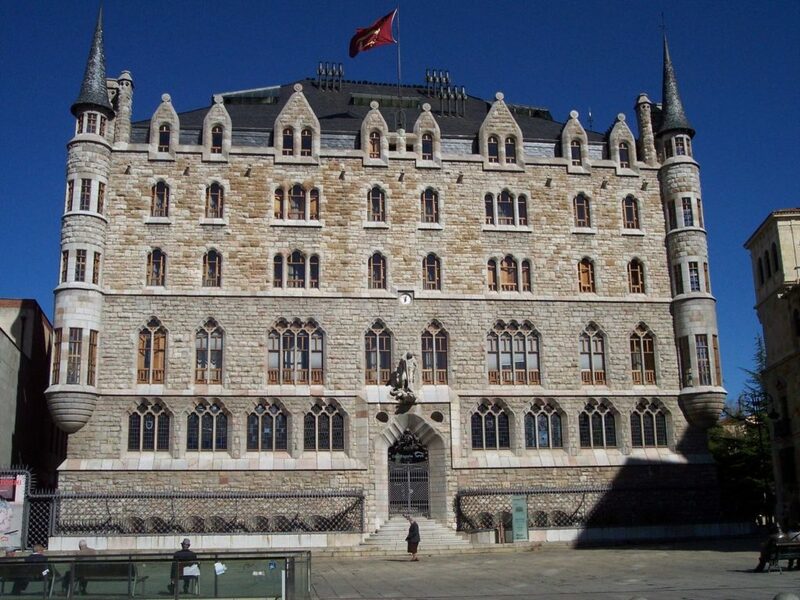 Another building located outside of Barcelona is this work in neo-medieval style. Gaudi designed the building to flow with the natural landscape, but from a distance. 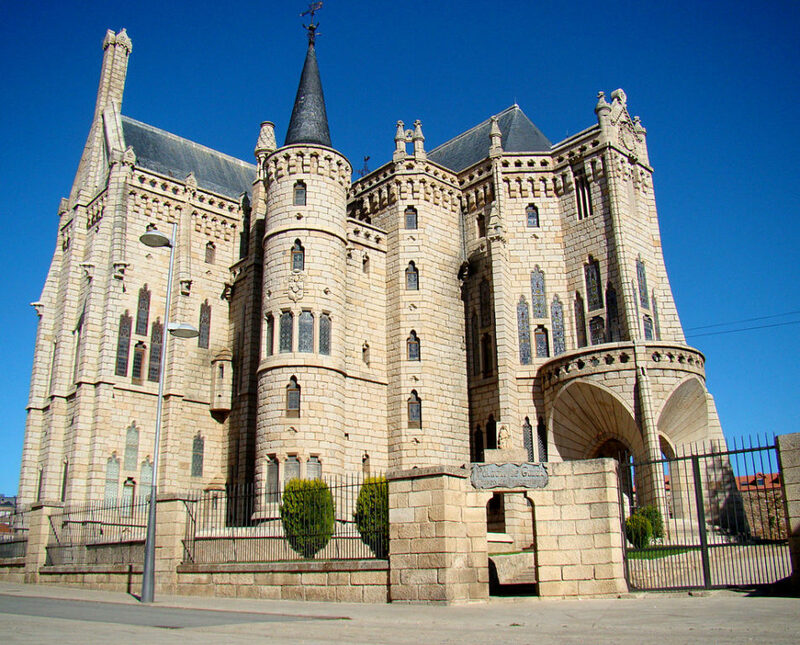 He was unable to move to Astorga to oversee the design and construction and instead worked from photographs. Although it is far more subtle than some of his most famous work, we can still see his influences in the rounded lines of the facade. Gaudi was commissioned to redesign the house and outer perimeter wall with gates. His design was Orientalist with influences from mythology, including a wrought iron gate in the shape of a dragon representing Ladon, the son of Typhus. The pavilions include a longeing ring and gatehouses. 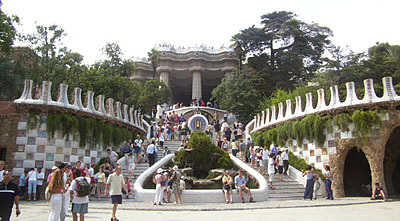 Gaudi was also influential in the design of the inner gardens, where he built fountains and a pergola. 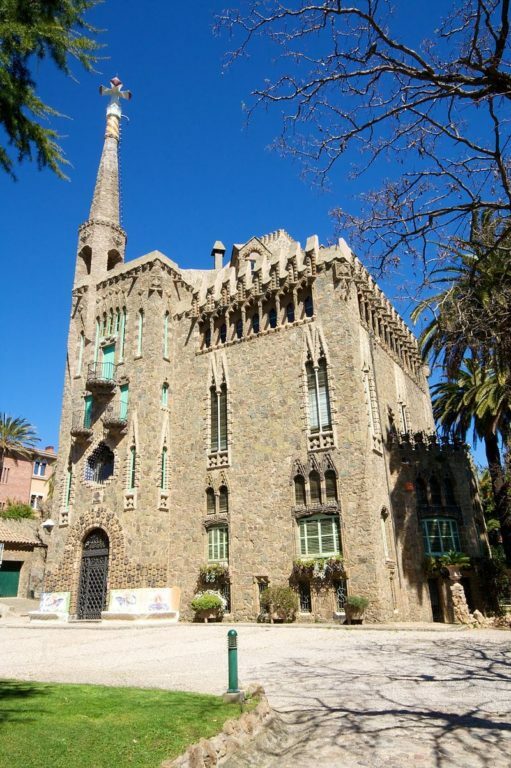 Another house designed for the influential Guell family was the Palau Guell. The design centered around a main room meant for entertaining guests from Barcelona’s high society. There are the trademark arches, and elaborate ironwork, along with ornately designed walls and ceilings meant to disguise small viewing windows. From above, the residents of the house could get a preview of guests and make adjustments for dress and other high society obligations. Eusebi Guell also commissioned Gaudi to design a winery and other associated structures. The winery building is an ornate and fluid structure built in brick with three floors, a few chimneys, parking, and curves characteristic of Gaudi’s modernist style. The plans originally included hunting pavilions, but those were never built. Another commission is one of Barcelona’s most famous Gaudi works outside of the Sagrada Familia. This series of gardens and architectural buildings was left to Gaudi to design in complete freedom. It is a testament to the natural beauty of Carmel Hill. The complex iconography draws influence from Catholicism, but also from more mysterious origins such as Freemasonry. It’s considered part of Gaudi’s naturalist period and began his wildly creative eye culminating in the eventual design of the Sagrada Familia. A similar but larger scale park is the Artigas garden. This garden is in a similar style, with natural green spaces, rolling arches and curves, and plenty of mysterious iconography. The park fell into disrepair until recently when in 1992 the gardens were restored to their original beauty. Guell also commissioned Gaudi to build a church so that a manufacturing suburb would have a place to worship. Although the plans were elaborate in Gaudi’s signature style, the structure was never finished. Guell was losing money in his business, and as a result, only the crypt was completed. Recent renovations have removed the building’s unfinished feel, but now it is more comfortable to view the existing structure. Tourists can even stand on the “roof,” what would have been the floor of the church itself. This work was another example of Gaudi taking over an existing project and working within the constraints of another architect’s design. The original architect is unknown, but the floorwork was already in place when Gaudi was given the project. He was required to creatively finish the project with a limited budget and very limited time. It consists of a lower floor plus three stores on a rectangular base. 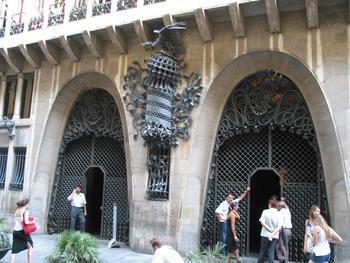 The entrance is characteristic Gaudi with a parabolic arch and the symbols of the Teresian Order. 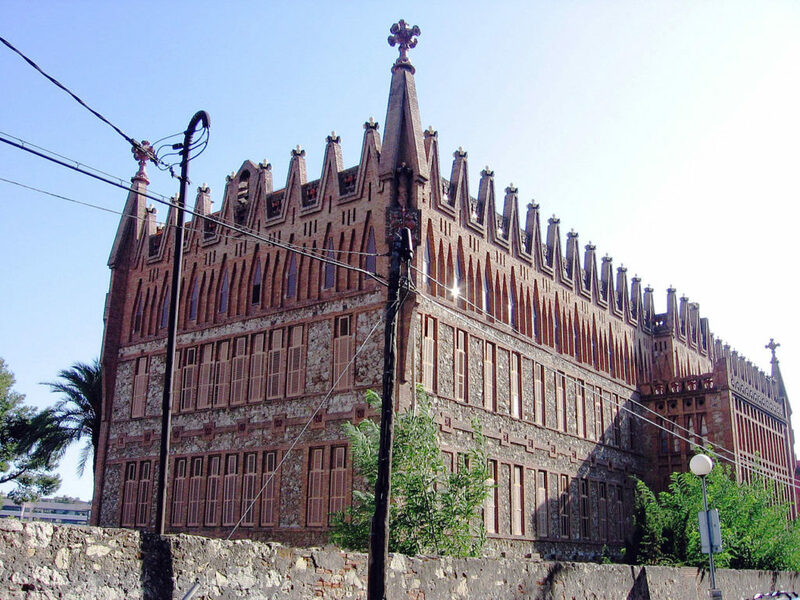 Gaudi’s design in Leon is in a medieval style that blends with the surrounding architecture of that time period. Gaudi was then commissioned once again by His friend and patron Eusebi Guell. 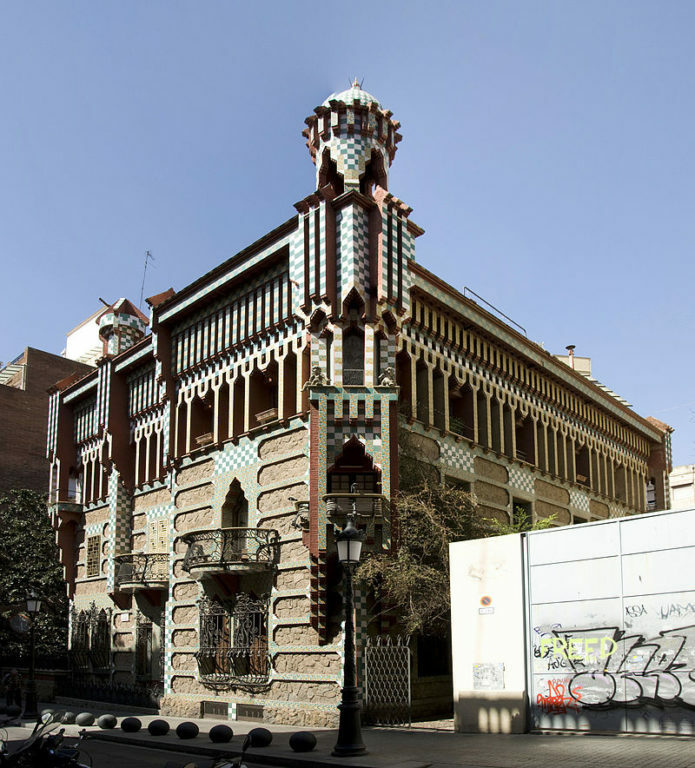 Gaudi designed the house in the center of the city with an accompanying warehouse. It consists of four floors, a basement, and an attic, along with a wrought iron gate and a mote around two of the facades for emphasis. There is a statue of St. George slaying a dragon, and in 1950 workers found an iron tube inside with the original plans and press clippings from that time. Gaudi’s influence looms over the design of Barcelona, and everywhere you turn, you can see his influences, from modernist to medieval. His most famous work, although unfinished at the time of his death, will remain one of the world’s most interesting architectural achievements, and his smaller works are sure to delight. What do you think of Gaudi’s signature style? Let us know in the comments and we can’t wait to see you in Barcelona! Visit our Free Barcelona Tour and Free Barcelona Bike Tour to see some of Gaudi’s work up close!